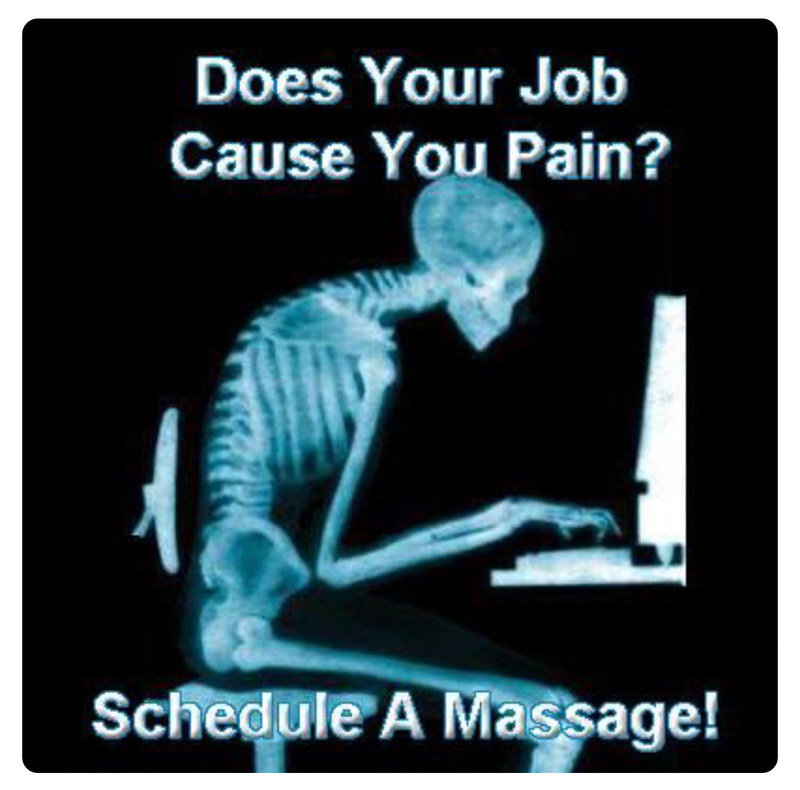 Does your job cause you pain in the head, neck, shoulders, back, wrist, hips, legs, knees or feet? A bad setup can reek havoc on your body. Ask me how I can help you.